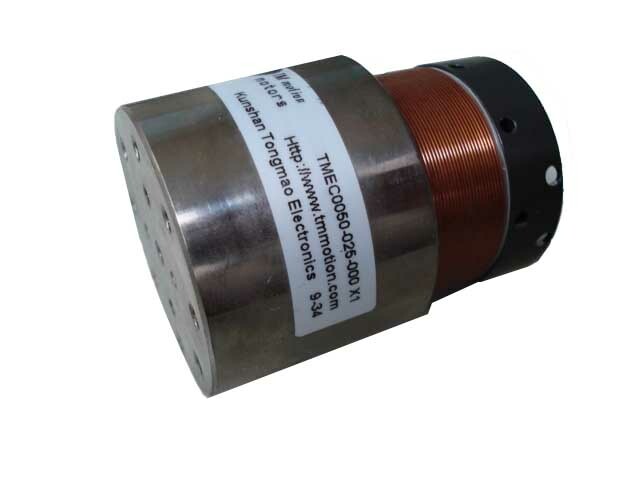 TMEC Series Voice Coil Actuators, The TMEC Series of Cylindrical Actuators constitute nearly 80% of the market. They can produce a high force with a high acceleration rates. Peak Forces range for 1 N to 5000 N. Typically, their stroke length is less than 50 mm. TMEC Series Actuator Applications include Valve Actuators, Z Axis pick and place, small accurate positive displacement metering pumps, and both vibrators and active vibration dampening systems. Markets include Medical, Semiconductor, Aerospace and Automotive.